Every year Manfred Fahnert introduces a group of students to building with earth in Southern Morocco. The project, which began twenty years ago, is an intercultural programme providing experience of earth building. 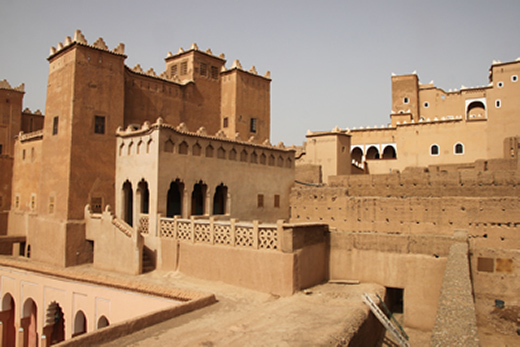 It is intended neither as a seminar nor as a workshop but as an opportunity to gain practical experience of working on a real building: the Kasbah Caid Ali and its surrounding buildings in the town of Agdz in Morocco, approximately 6 hours by bus south of Morocco. The project is predominantly in German. Please see the homepage for full details of this year’s student programme as well as numerous photos and videos of the project.